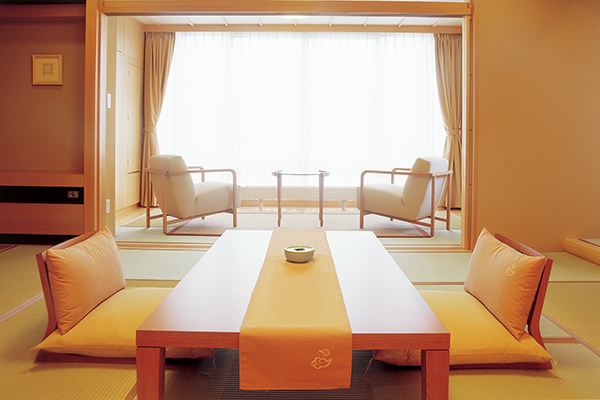 12.5-tatami-mat room with 6-tatami-mat-size veranda-like porch, terrace, open-air bath, lavatory, washstand and indoor bath. 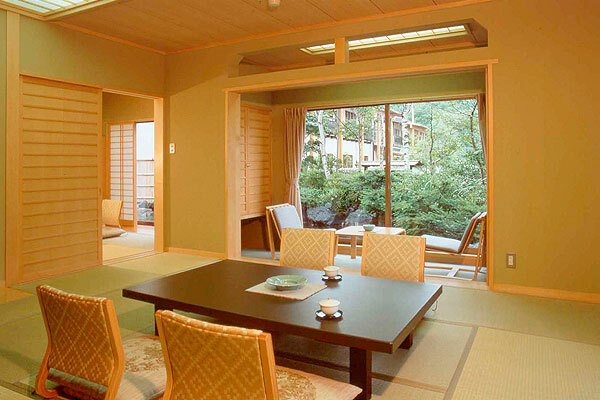 12.5-tatami-mat room with 6-tatami-mat-size veranda-like porch, lavatory, washstand and indoor bath. Twin room, lavatory, washstand and indoor bath. 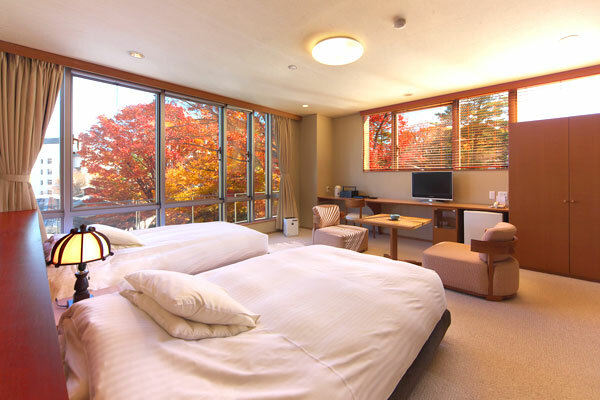 12.5-tatami-mat room + 6-tatami-mat-size veranda-like porch with Western Twin Room, lavatory, washstand and indoor bath. 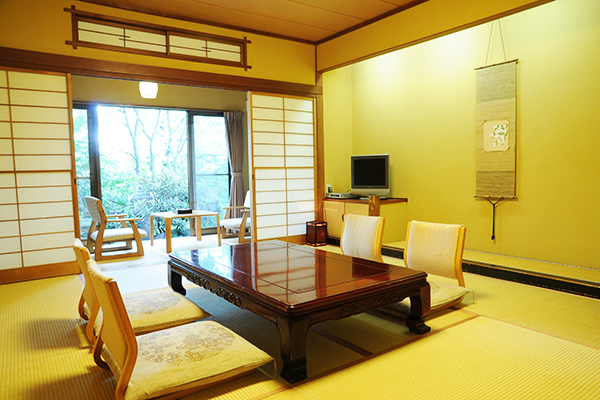 8-tatami-mat room with veranda-like porch and 6-tatami-mat room, lavatory, washstand and indoor bath. 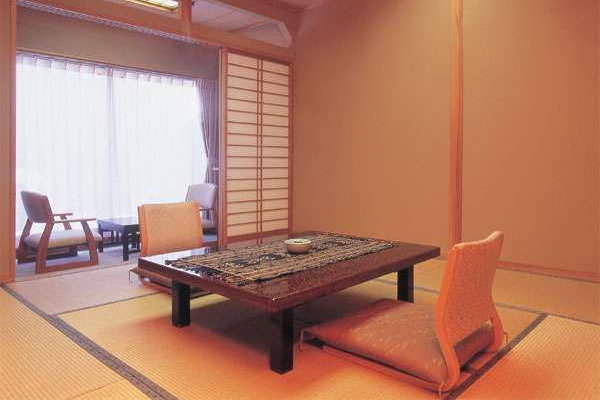 10-tatami-mat room with veranda-like porch, lavatory and washstand. 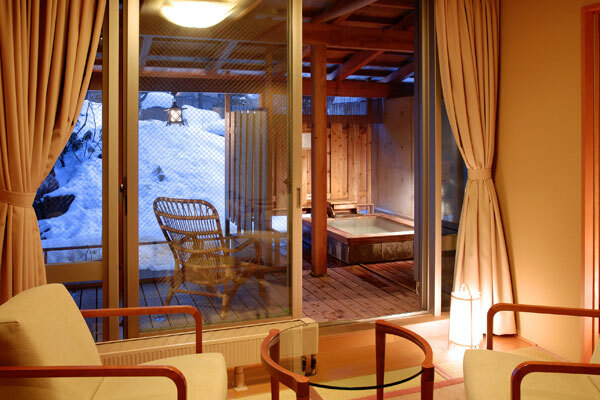 8-tatami-mat room with veranda-like porch, lavatory, washstand and indoor bath. 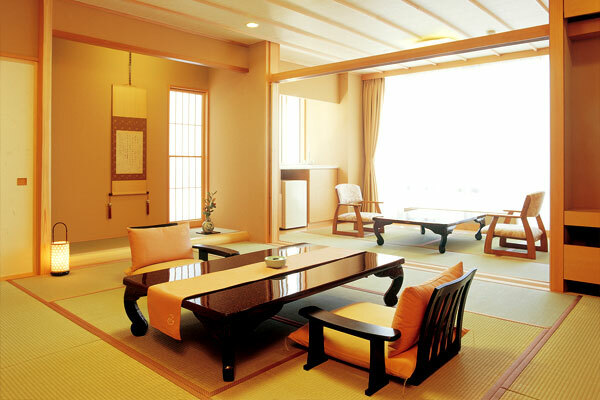 8-tatami-mat room with veranda-like porch, lavatory and washstand.